This time we have brought you a fresh and unique WordPress theme for the month of August. In this list, you can find different types of themes like business, blog, photography, WooCommerce, etc. It seems like designers went off their way to create more interactive and very specific WordPress themes this month. 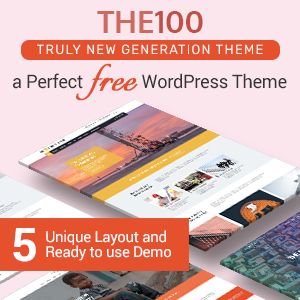 Most of the themes that are included here come with a basic template with the simple, slick and sober design. This will help you to build an awesome looking website easily and nicely without any difficulties. 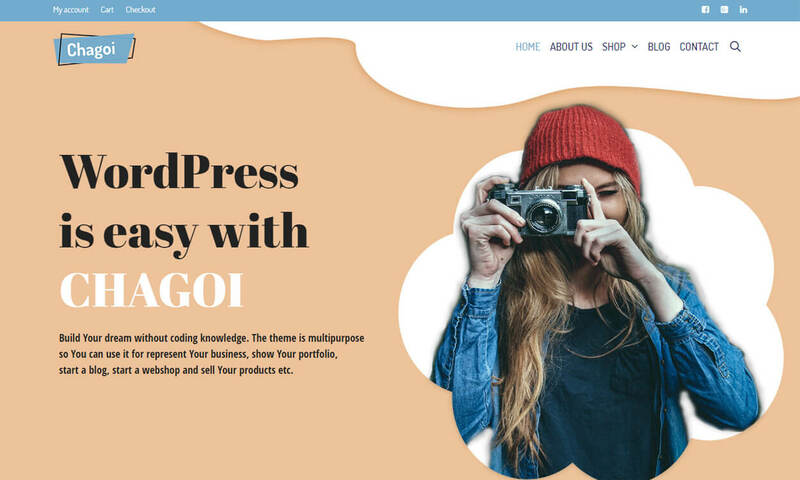 Here is a collection of 25+ best free WordPress themes August 2018. The themes that are listed here come with powerful and advanced features. 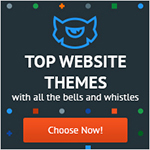 These themes are well tested and handpicked carefully. Also, these themes have good downloads rate and active installs. Here is the pick of best free WordPress themes of the month August! A collection of some of the best and fresh free WordPress themes collection of August 2018. My vCard Resume is a modern and minimal free WordPress theme an for an online resume, cv, or a personal website. 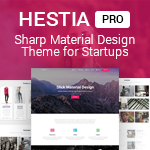 It is perfect for suitable for a designer, developer, freelancer, photographer, architects, Artists and many more individual who want to showcase his/her work. This theme comes with a built-in portfolio type that lets you create a beautiful online resume. 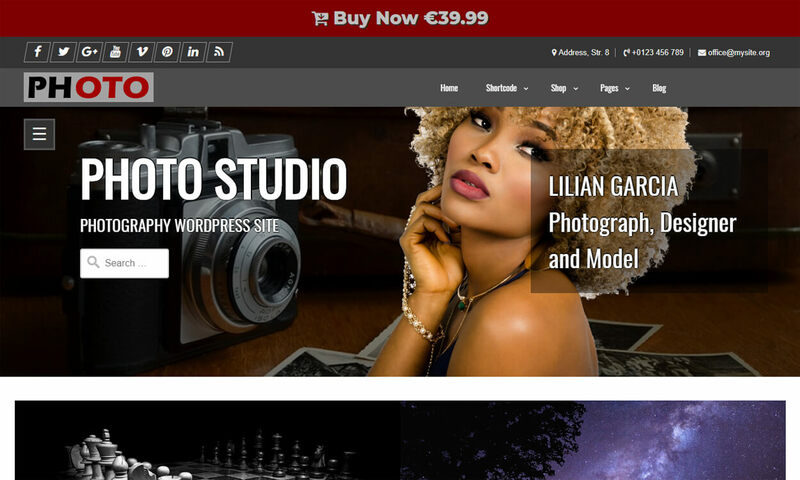 Photo Studio is easy to customize a free multipurpose WordPress theme. This theme is perfect for a photography, blog, newspaper, images, photos, publishing, news, blog, business, portfolio or other editorial websites. It is compatible with WooCommerce plugin that helps you to do an online business easily. Also, the theme is SEO optimized that helps to rank your site at the top of Google. 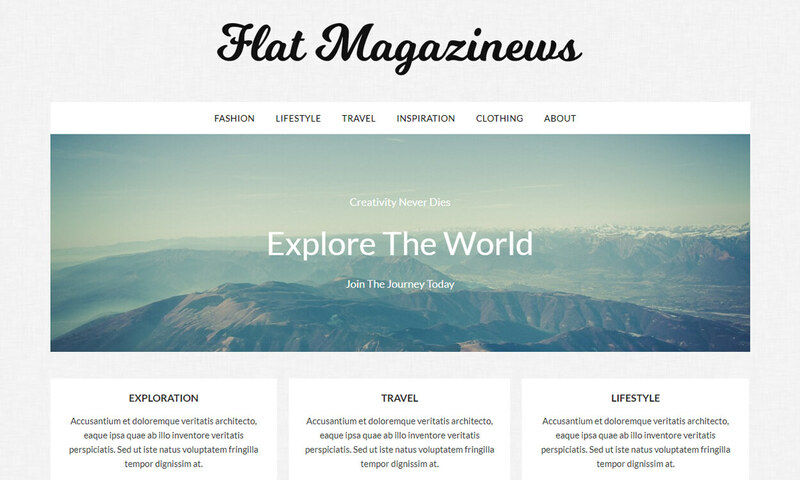 Flatmagazinews is a simple and clean magazine newspaper WordPress theme that is perfect for creating an awesome looking website. This theme is easy to use and set up where you can put lots of space for ads and have them in the top, sidebar, footer and more. It is a fully responsive theme that works with most schema markups so, you can have reviews or other types of affiliate content. 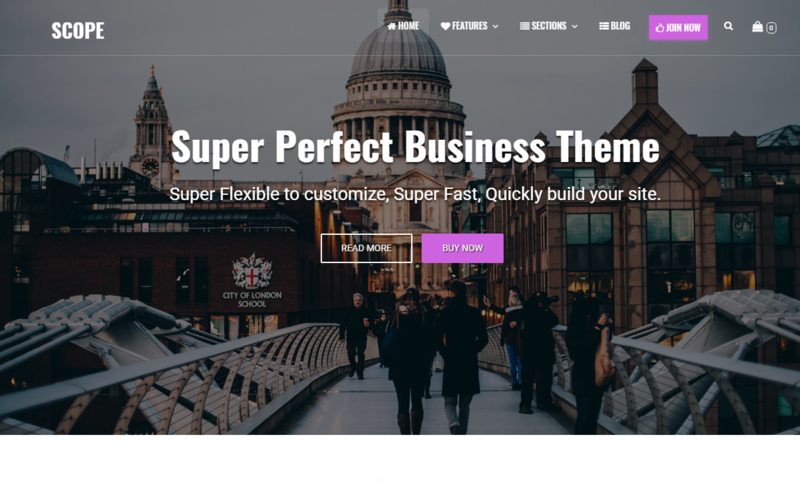 Business Idea is a fully responsive business WordPress theme that is fully customizable and beautiful theme suitable for any types of business. This theme comes with a portfolio design, page builder compatible and WooCommerce support which is great for the online business store. It includes a clean look that provides subtle hover animations. 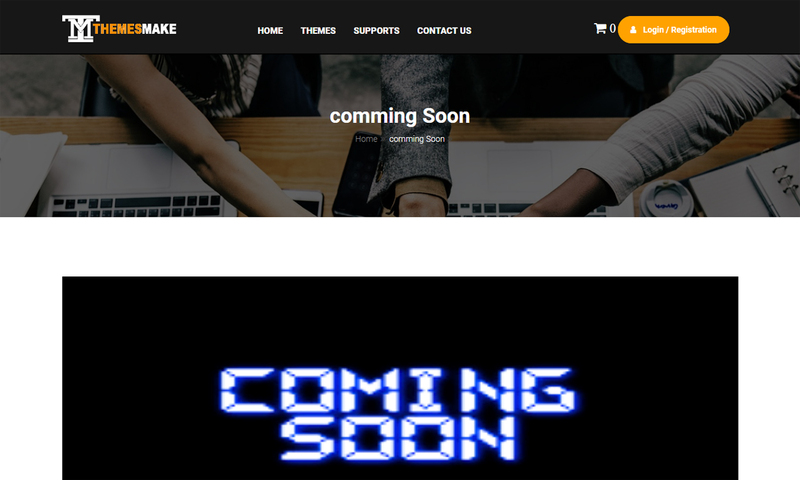 The theme offers many useful features like MailChimp newsletter integration, Live Customizer option panel, a footer widget, Elementor and Beaver Builder. 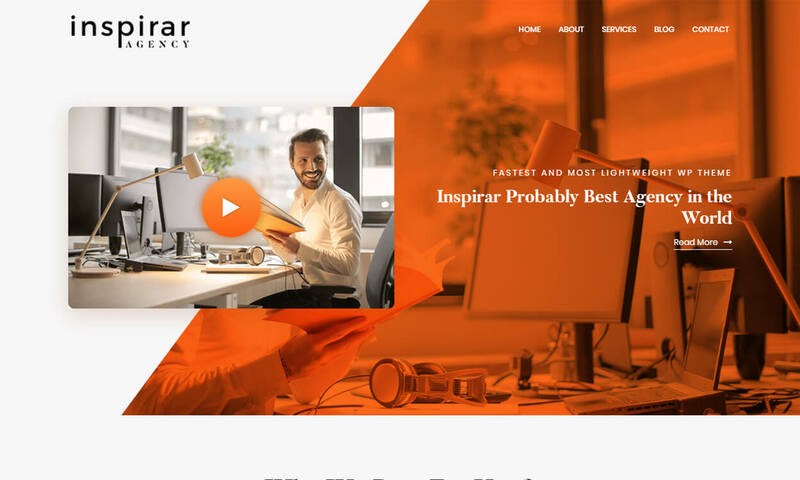 Inspirar is a free multi-purpose WordPress theme that is ideal for web agency business, corporate business, personal and parallax business portfolio, photography sites and freelancer. 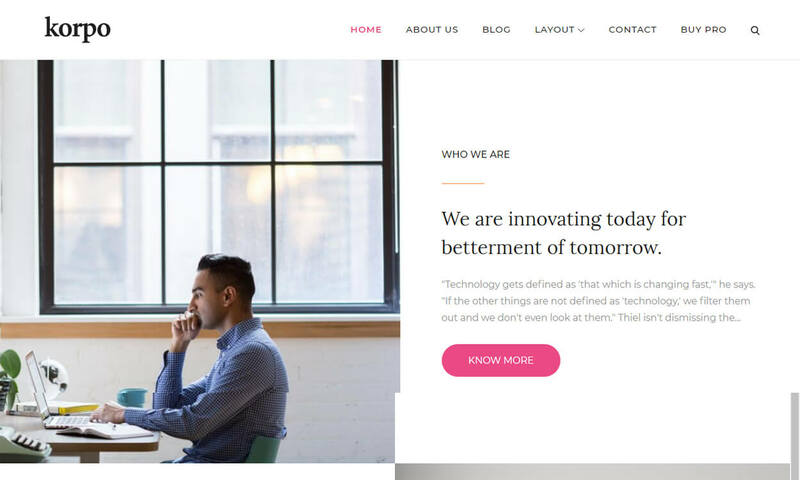 This theme is built on BootStrap4 with a responsive, clean, modern, flat and minimal design that helps to attract the number of visitors to your site. It includes unlimited colors so, choose the color that fits your site. 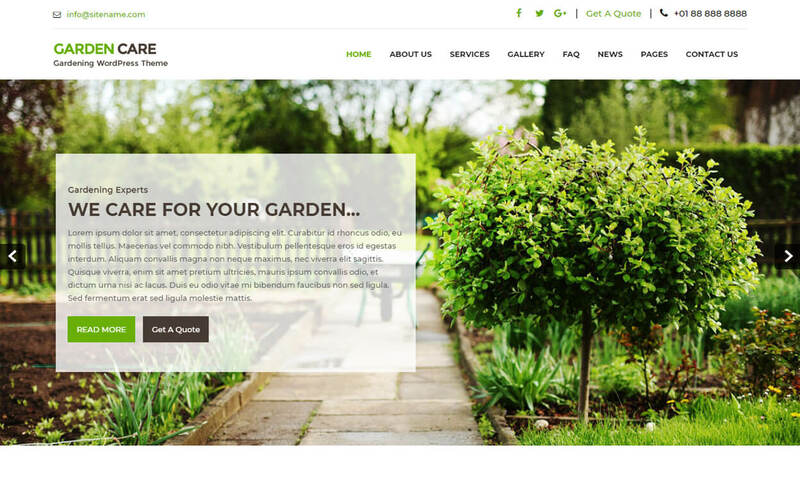 Greenhouse is an awesome free WordPress theme that is specially created for companies and individuals like Lawn Services Business, Landscaping Companies, Gardening Business, Florists, firewood, flowers, etc. 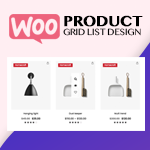 This theme comes with an elegant design and customizable grid that can be easily used to manage homepage sections and stand out from the crowd. And is compatible with the latest version of WordPress and plugins. Nadege is a flexible free WordPress theme that is suitable for blogging. This theme is fully customizable that helps you to change anything the way you like easily. You can upload your trademark logo and favicon and introduce yourself to readers in style. It displays multiple featured posts as post lists and carousel slider. This theme comes with regular updates and the assurance that your site will always be compatible with the latest version of WordPress. Ultra Seven is complete free magazine, Blog & News WordPress theme for magazines, blogs and travel diaries to create an outstanding website. This theme includes a flexible layout where you can make the changes like you want. It includes all the features that that is needed to build a beautiful website. Also, the theme includes beautifully designed archive pages, Search Pages, Author Pages and single posts with various layouts. Ochiba is a feature-rich free multipurpose WordPress theme that is built under GPL license. 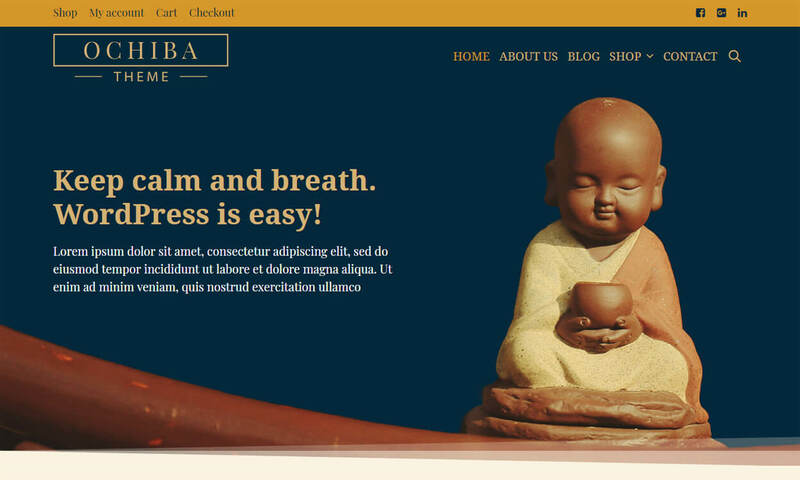 This theme is built with a clean style that is great for spiritual or religious sites. Also, it can be used to represent your business, show Your portfolio, start a blog, start a webshop and sell Your products etc. You can easily build a website by using this theme as coding knowledge is not required. 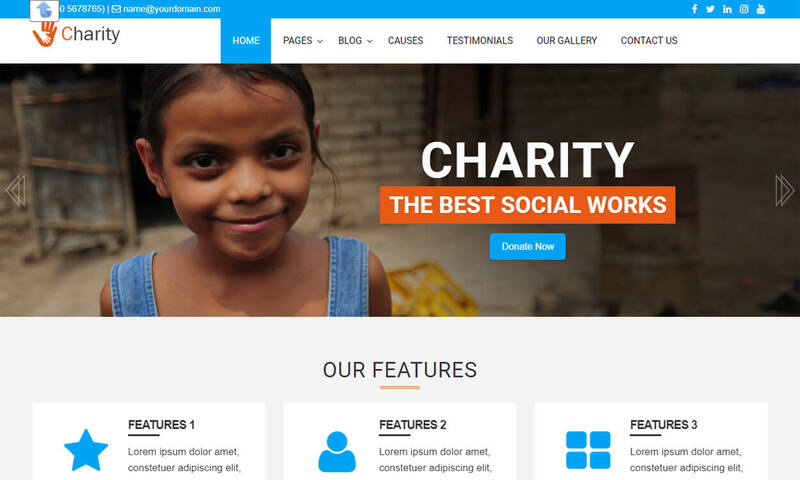 LZ Charity Welfare is a creative and beautiful charity WordPress theme with a professional inclination. This theme is suitable for a perfect fit for charity, a non-profit organization, political campaign, volunteering organization, NGO, donation camp, fundraising event, or any related committee. It has a beautiful design that helps to attract the number of visitors to your site. The theme gives you all the power to customize your website to make it as per your requirement. 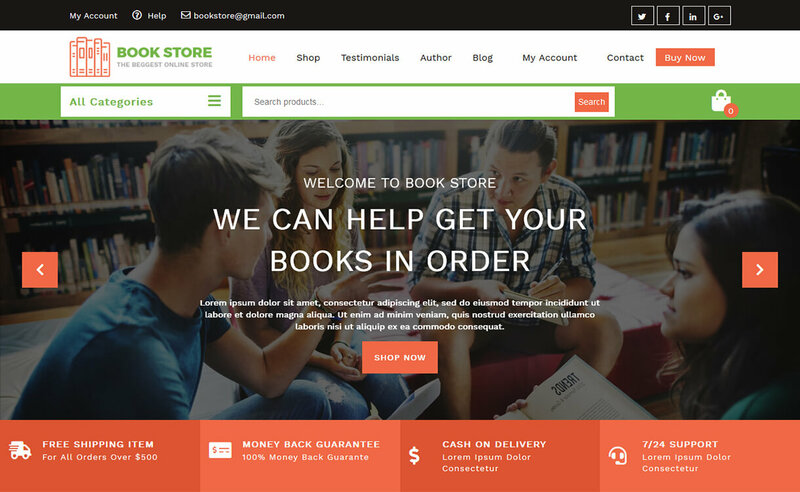 VW Book store is a robust and reliable WordPress theme for eBook sites, writers, bookstores, journalists, editors, authors, and online booksellers. This theme is built on a Bootstrap framework that makes your site unique. It is cross-browser compatible that supports all the browsers perfectly. And the theme is SEO-friendly and loads fast. 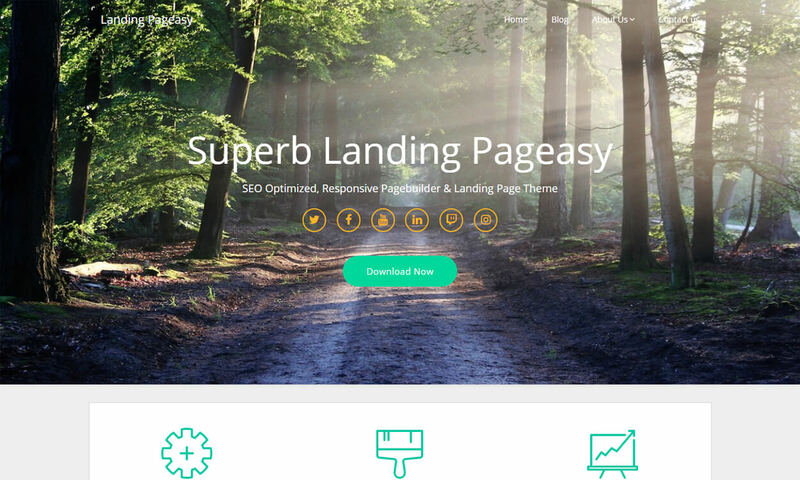 Landing Pageasy is a fully responsive landing page and one page WordPress theme. Also, this theme is perfect for business, blogs, journalists, authors, newspapers, products, apps etc. 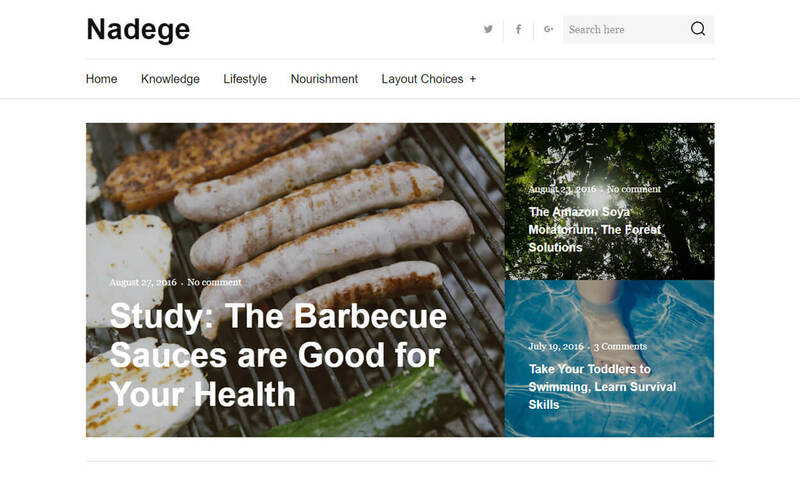 The heme comes with a simple blog/news layout where you can write about anything about food, travel, fashion, lifestyle, reviews, products or other entertainment niches. And it comes with lots of amazing features too. 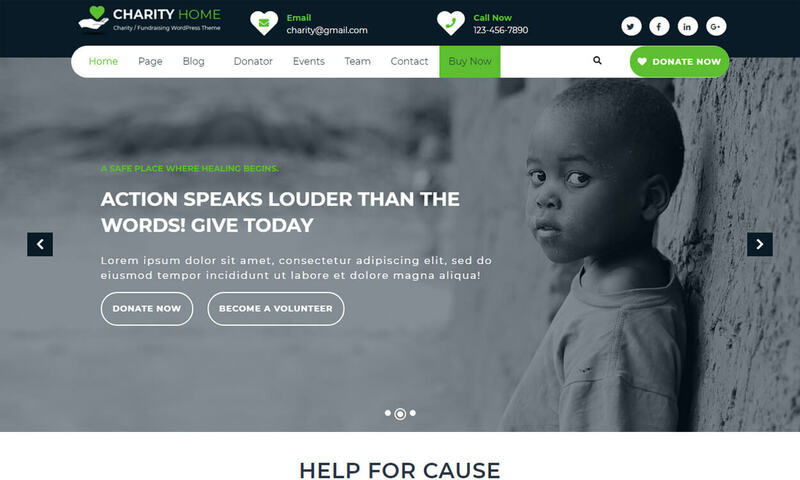 Charity Fundraiser is a beautiful charity WordPress theme ideal for charities, non-profit organizations, NGOs, organizing donation camps, and campaigns. This theme comes with a stunning layout that attracts a huge number of visitors and helps to get more traffic to your site. 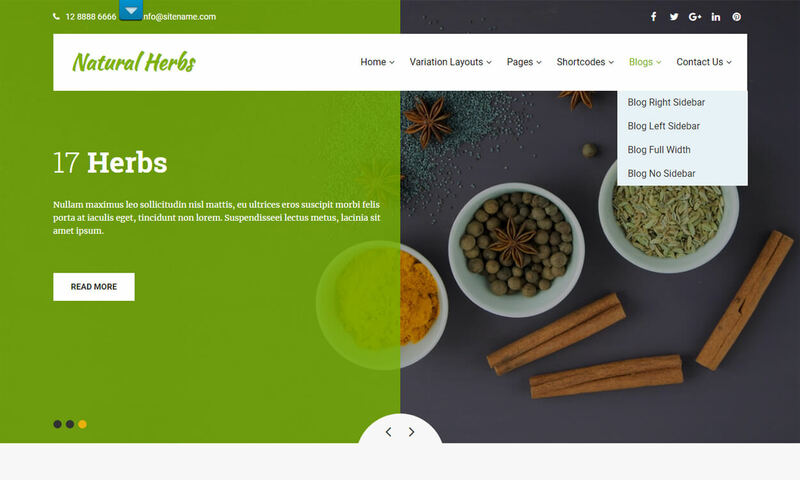 Natural Herbs Lite is a herbal WordPress theme comes with a fully responsive layout. This theme can be used for fresh, organic, nature, eco-friendly, solar, green energy, vegetative, farming, agriculture, spices based. Also, it can be used for Ayurveda, Yoga, Naturopathy, Medical and Medicines, Spa, stress relief and conservation websites. 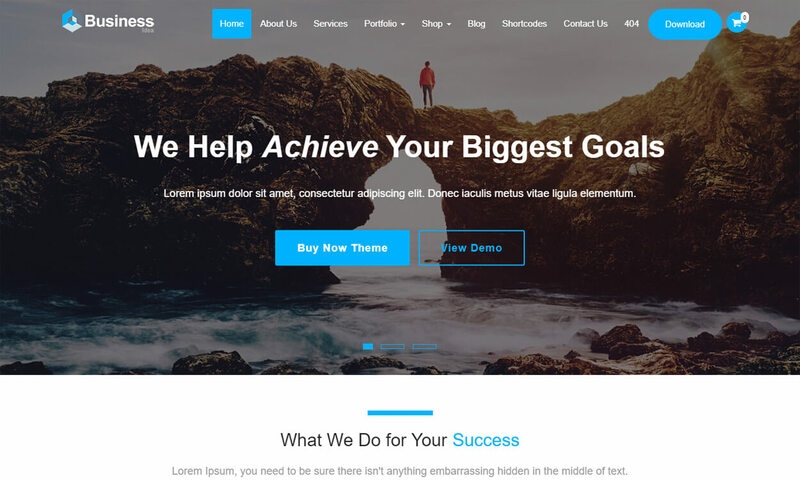 Korpo is a pleasant and modern looking design free multipurpose WordPress theme that is capable of handling the needs and requirements of an enormously vast range of websites. This theme is beautifully crafted with different layouts with sidebar position and allows unlimited color selection. You can easily create a stunning website without any coding knowledge. 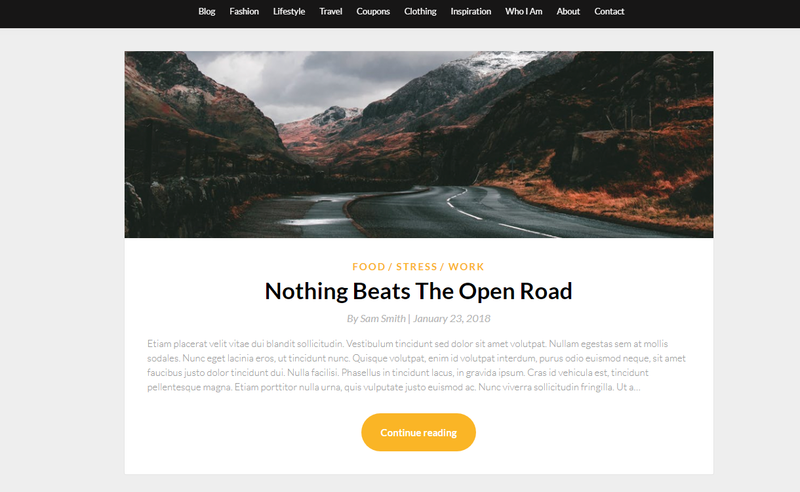 News Make unique and fully responsive theme ideal for magazine, newspapers or professional blogs. This theme includes a responsive slider, with image, widgets Area, etc. The theme comes with a beautiful design that is perfect for professional bloggers. It is an SEO friendly and lightweight to give your website the professional magazine look. Simpleblogily is a simple responsive blog and news WordPress theme made for bloggers and newspapers. This theme comes with an elegant and minimalistic design that attracts more number of visitors to your site. It is perfect for the writers who wish to write about their view on food, fashion, travel, clothing, movies or their lifestyle in general. 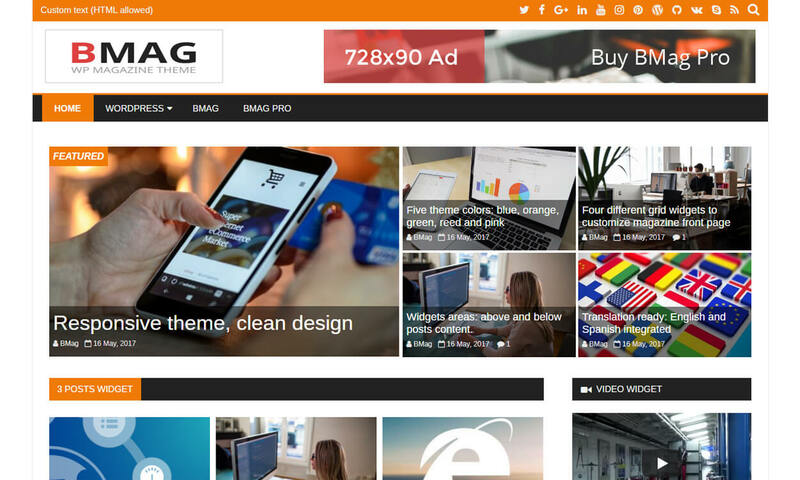 Chagoi is a flexible free WordPress theme that is built under GPL license. This theme is easy to use admin with a lot of customizer functions that makes your site more better. You can easily build an awesome looking website without knowing any coding knowledge. With the help of this theme, you can represent Your business, show Your portfolio, start a blog, start a webshop and sell Your products etc. 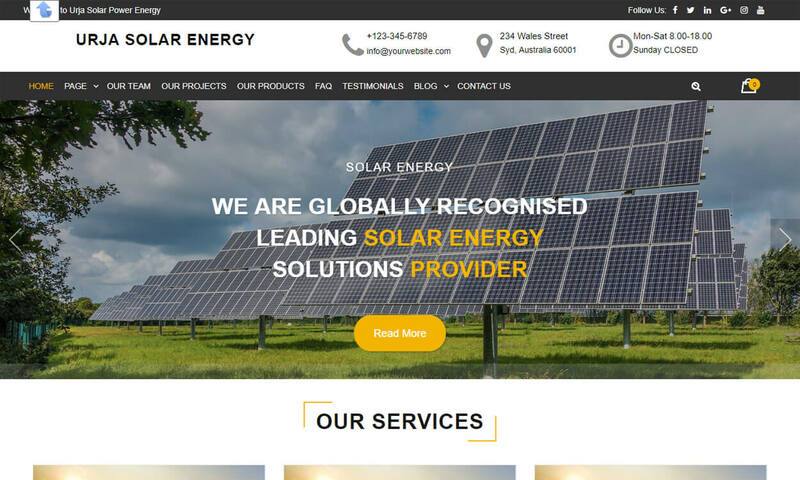 Urja Solar Energy is a clean, green and energetically colored free solar energy WordPress theme. This theme is specially designed for solar panel manufacturer and distributor, Solar Panel Maintenance Company, bio-product selling stores, non-profit organizations, other elements of the environment. It is easy to use and readily understandable that helps to set up an efficient site effectively. 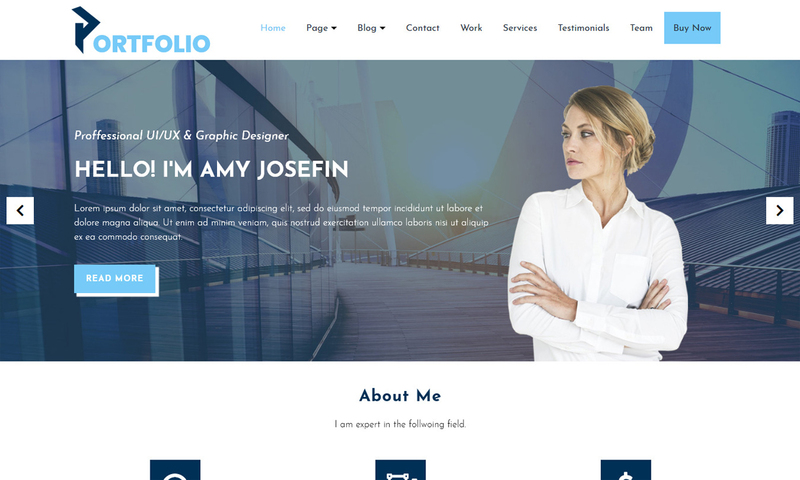 VW Portfolio is a stylish and modern free portfolio WordPress theme suitable for artists and designers. They can easily showcase their work to be as unique as their work itself by using this theme. Also, it can be used by bloggers too. It is built on a Bootstrap framework that is easy to use for a novice as well we webmasters. As it is a portfolio theme, ample space is given to fit myriad of images. 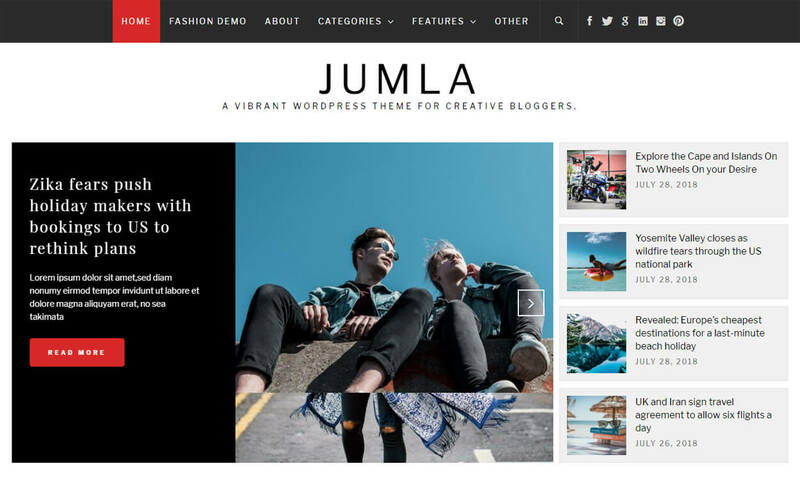 Jumla is a minimalist WordPress blog theme that is perfect to build a beautiful website. This theme comes with bold details and unique styling that makes this theme unique from others. It includes a totally responsive layout that adapts all the screens sizes from large to small. By building a website with this theme, you can engage your visitors and enhance traffic to your site. 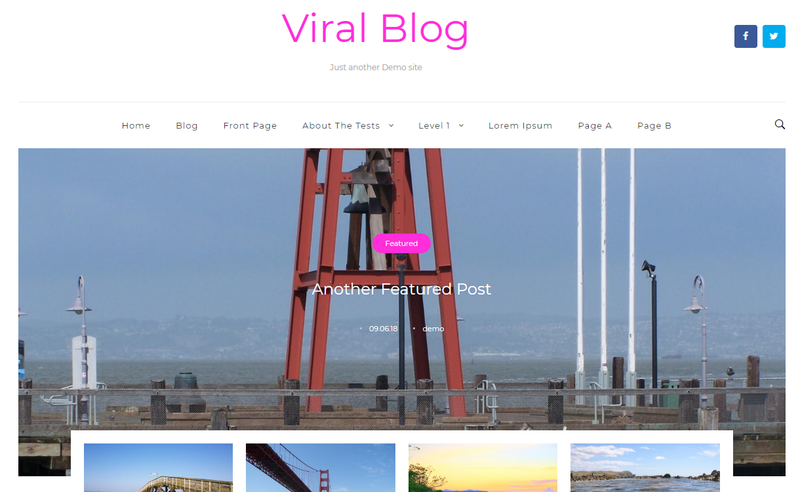 Viral Blog is a clean and minimalist free blog WordPress Theme. This theme is easy to set up so design your site the way like. It is lightweight and SEO optimized theme that lets your site to rank top in the Google. The theme is fully responsive that looks awesome on all the screen sizes from desktop to tablets. BMag is a free magazine/newspaper/news/blog WordPress theme that can be used to create an awesome looking website easily. 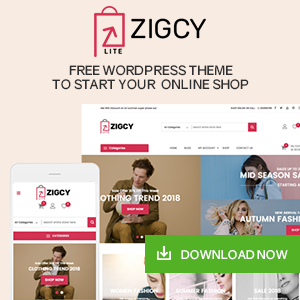 This theme includes many useful features like Four widgets (with different options) for customize magazine front page, header image or logo, footer widgets, customization panel, fully responsive, custom header, custom background and much more. It is built in customizer tool where you can build a site that you want. Scope is an incredibly amazing free multipurpose WordPress theme that helps to create a beautiful website easier than ever. This theme is fully customizable that is perfect for a blog, personal portfolio, business website, and WooCommerce storefront. You can edit the settings on tablet & mobile so your site looks good on every device. Oswald is a fresh and powerful free WordPress theme that helps you to create an awesome looking website easily. It comes with the drag and drop page builder, header builder, custom theme options panel, demo import tool and much more. 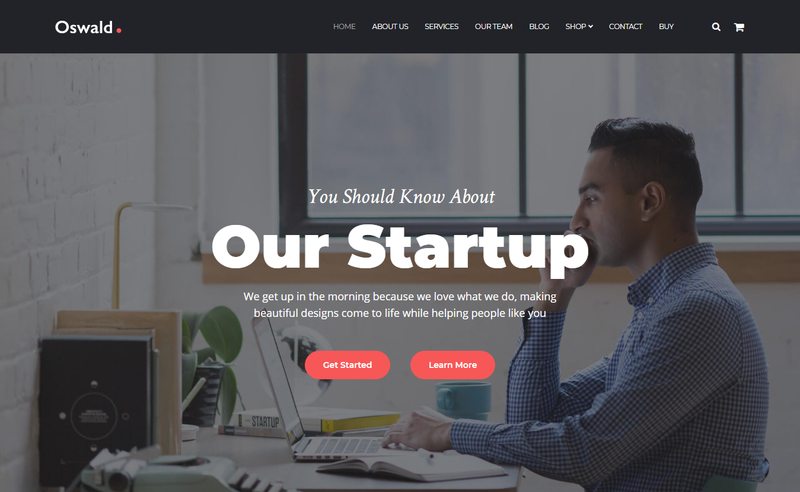 This is an extremely comprehensive and multipurpose WP theme you can use for launching a website. 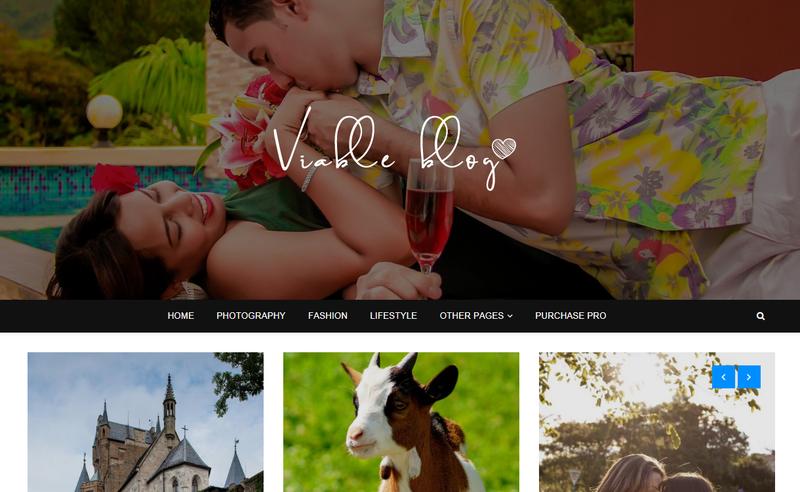 Viable Blog is fully responsive and modern free blog WordPress theme that is specially designed and developed for blogging purpose. If you will get any problem while using the theme then you don’t have to worry because it comes with detailed documentation. It comes with a lot of customization options and has the potential to fit for every blogger’s need. In this article, I’ve listed down some of the best free WordPress themes August 2018 that comes with awesome features and functions. And comes with a stunning design that helps to attracts the visitors to your site. These themes provide you the customizable options to design the website as per your need. If you have any questions related to the themes that are listed above then feel free to comment us below. Or, have already used any of these themes, share your experience with us which will be a great help for others who are willing to use these themes. 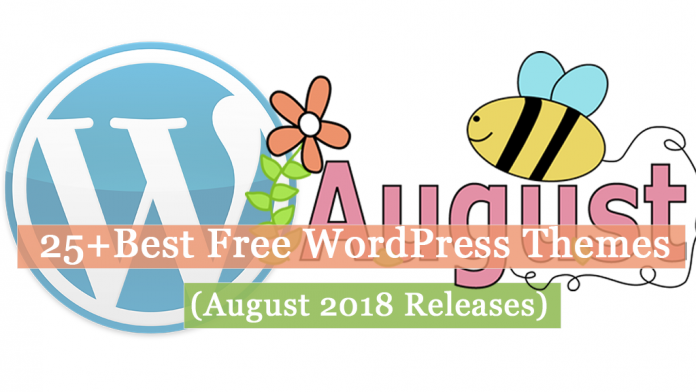 Hey Buddy!, I found this information for you: "25+ Best Free WordPress Themes August 2018". Here is the website link: https://wpallclub.com/best-free-wordpress-themes-august/. Thank you.